Leaders in Imaging: A conversation with Dr. David C. Levin - ONRAD, Inc.
March 9, 2011 — AuntMinnie.com is pleased to present the next installment of Leaders in Imaging, a series of interviews with individuals who are shaping the radiology landscape. We spoke with Dr. David C. Levin, professor and chairman emeritus of the department of radiology at Jefferson Medical College of Thomas Jefferson University. Levin discussed the trend toward commoditization of radiology and what radiologists can do to mitigate it. His most recent article on the topic, “Outsourcing to Teleradiology Companies: Bad for Radiology, Bad for Radiologists,” appeared in the February issue of the Journal of the American College of Radiology. AuntMinnie: In a recent report, the Moran Company found that the volume of advanced imaging services billed within the Medicare system decreased in 2009, the first decrease in 11 years. What do you think has caused this? Dr. David C. Levin from Thomas Jefferson University. Levin: Some people say that it’s the [Deficit Reduction Act (DRA) of 2005] that has caused this slowdown. But if the DRA were the cause of the flattening in imaging volume, you’d expect to see growth slowing in offices, which are the places affected by the law, and increasing in hospital outpatient facilities. But that’s not happening. In fact, if anything, it’s the other way around: Even if overall imaging volume growth is slower than it was in the early 2000s, it’s still more rapid in offices. If I had to pick the most important factor contributing to the slowdown, it’s [radiology benefits management (RBMs) firms]. There are 70 million to 100 million covered lives in the marketplace affected by RBMs, and what these companies have done is create barriers for physicians to ordering high-tech imaging. Ordering physicians have become used to someone looking over their shoulders. You’ve published quite a bit on how teleradiology has affected the practice of radiology. Is there any way to mitigate the trend? The way to stop the effects of teleradiology is not to use it. At the end of our recent JACR article, [co-author Dr. Vijay Rao and I] quoted Dr. Tim Hall, a practicing radiologist in Boise, Idaho, who said that his practice had initiated in-house night call more than a decade ago. Those guys sucked it up and said, ‘We’re going to handle [night reads] ourselves.’ I hope other radiology groups will take the cue and do the same thing. The other thing radiologists can do is not go to work for telerad firms — although I do realize that the market is tight for young radiologists, and for some going with a nighthawk firm is the only option they have. There are a lot of things radiologists aren’t doing that we should be. We don’t evaluate the appropriateness of imaging studies before we do them, we don’t talk to patients about imaging studies after the procedures have been done, and often we’re not available for consultation. The reason? Radiology groups don’t want to hire more doctors because individual income will go down. But what groups should be doing is hiring more radiologists so they can perform these services. Look at primary care doctors — they spend hours every day doing tasks that don’t produce revenue but are simply for patient care. At Crozer-Chester Medical Center, here in Pennsylvania, the group assigns a radiologist every day to the job of consultant — any doctor in the hospital can contact him or her and get feedback. What does that mean? It means an extra radiologist and a little less pay, but it also means the group is providing indispensable service. Is there anything positive about teleradiology? Does it have a role? I think teleradiology does have a role, say, for small, rural groups with four or five radiologists. That was the original idea of the nighthawk model. But now there are groups of 50 or 60 radiologists outsourcing night work.  In your JACR article, you refer to the four service components described by Dr. James Borgstede at the University of Colorado that are required for radiology to continue as a specialty: A pre-exam evaluation of appropriateness and necessity, supervising the exam, interpreting it, and a postexam consultation. What will happen to radiology if these components aren’t addressed? How will patient care be affected? What will happen is that we’ll lose a lot of our practice. You’re going to see more and more encroachment by nonradiologists, and fees will drop. I’m surprised it hasn’t happened already. If radiology becomes a commodity, patient care will suffer greatly. Onsite radiologists provide a lot of value, and you’d lose all that if everything was outsourced. Just as an example, all kinds of questions come up during the course of the day about imaging exams, and nonradiologists have not been trained in patient [imaging] safety. If a gastroenterologist is allowed to do CT colonographies, what will happen when that doctor tries to interpret images of other parts of the scan — the pancreas, the liver, the adrenal glands? In your article, you make several suggestions about what radiologists can do to address the trend toward commoditization, including taking back night call, not working for teleradiology firms, consolidating into larger groups, and perhaps even making alliances with academic radiology departments for night and weekend coverage. How feasible are these suggestions? There’s some criticism that these suggestions aren’t realistic, especially coming from academic radiologists like us. But I took interventional radiology night call for 17 years before I became chief at Thomas Jefferson — I know it can be done. And plenty of private practice radiologists themselves decry the use of nighthawks. If you go around the country and talk to more progressive radiology groups, you’ll find many of them are bringing night work back in-house. As for alliances between academic departments and small groups, that’s a possibility, but it’s not something we’re promoting. The best solution would be for small radiology groups to consolidate or, if they can’t do that, to develop a working relationship with competing groups to cover night call.